You may have run into slightly complex methods for formatting ebooks. Mobipocket Creator and HTML files are common, but I’ve found great results can be had by uploading a well-formatted Microsoft Word Doc (.doc) to Amazon Kindle, Barnes & Noble Nook and Apple iPad. For non-fiction titles and books with a Table of Contents section, one extra thing readers will appreciate is the inclusion of a TOC link. This isn’t just a page at the beginning with Chapter headings and hyperlinks to places within the document, but also a TOC bookmark, which the e-readers (like the Kindle) will automatically recognize and add to their Menu option. It’s quite simple if you’re familiar with adding a bookmark in Word. 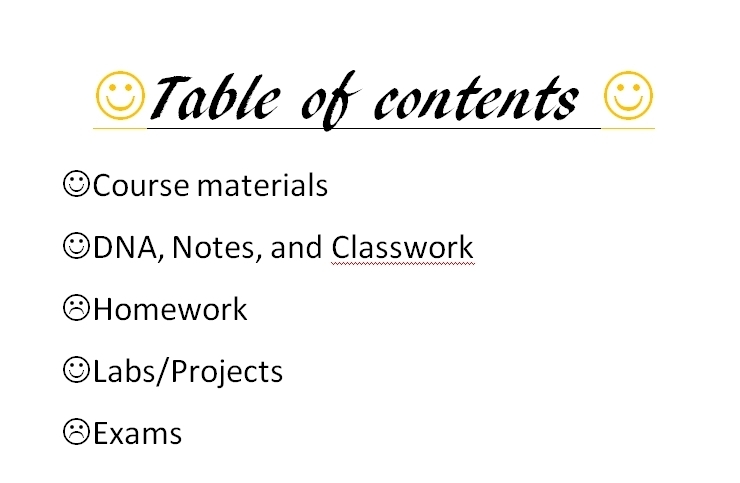 All you need to do is place the cursor at the beginning of the page for the Table of Contents. Then click Insert and choose Bookmark. When the Bookmark tab opens, type in “toc” without the quotes and Add it. Once saved and uploaded to Kindle, for example, that will become a Menu option for Kindle readers to go to the Table of Contents from anywhere in the ebook. Obviously these are just little things that make it nicer for readers, especially for books with TOCs. How will you know if you’ve done it correctly? Download the Kindle Previewer from Amazon, http://www.amazon.com/gp/feature.html/?docId=1000765261. It will accept MOBI, EPUB, HTML and OPF files under the File tab to Open. I use Calibre or 2epub.com to convert my Word Docx to MOBI and then open them on the Kindle Previewer. All of the hyperlinks and TOC elements and menu options should work perfectly. The same is true for my books on people’s Kindles, even when directly uploading Word Doc files in the way explained above. If it’s not right, make the correction and try again. One of the best aspects of e-publishing is the ability to make changes quickly and easily. That’s a great post. I’m sure there are a lot of people out there that had no idea how to do that, like ME!!! LOL. That’s how I’ve done my kindle books – from Word. Works like a dream. What I can’t figure out though, is how to get the cover itself into the word document so it appears on the kindle as well as on amazon’s site. Debbie, try adding your cover image center justified to the first page of your Word Doc (which you might already have done), then make the size absolute height down to 4 inches or even 3.75, then add a page break after the image. See if that works. Thanks, Jason. It really *is* that easy! I don’t know why I didn’t think of making the image a specific size before. I didn’t even convert to html – just sent the doc file t my kindle as a test. Have to get my covers uploaded now…. Actually, not quite as simple as I’d thought. Upload the doc and you get the picture but all the hard carriage returns are pushed through as double carriage returns which looks wrong. Upload as html (which is what I do at the moment) and the carriage returns are OK but the image is gone. Think I’d have to see your Word Doc to give advice or know exactly what you’re seeing. Have you followed the Style Guide from Smashwords? Yes, I used that guide initially. But it’s only a word doc with some bookmarks in it. No images, nothing fancy. But if I send it to my @free.kindle addy as doc it puts a double line break in for every hard line break (backwards P marker). Same if I send it as a docx. Html is fine – but no image then. Bizarre. I can do it through calibre, but I wanted to avoid that if possible. Do you have anything extra added to your line spacing options in the Paragraph Indents and Spacing section? What’s your paragraph style, normal? Did you remember to check the box that says “Don’t add space between paragraphs of same style?” That’s done in the Paragraph tab. I know, wish it was all a bit simpler. that is the simplest and best definition of all that i have seen after many, many frustrating hours of going thru all this trying to figure out how to add a toc to my future? ebook. you don’t include any information that is unneeded, which seems to be the way of all these people who seem more intent on showing how ‘smart’ they are than on teaching an ignoramus how to get something done. thank you. now what do i do about individual chapters? do i simply bookmark them as i do the toc, start and cover? So if i got it right i am thinking i must put these tags or whatever they are called in the original document first, then in the mobipocket creator I…. help me out. Ignorant man in need of knowledge. To hyperlink your TOC Chapters to the actual spots in the document, all you need to do is first go to the location within for your first chapter and insert a bookmark (call it the name of the chapter with no spaces or symbols). Then return to the TOC and highlight Chapter One, choose to add a hyperlink to a Place Within the Document, and select the proper bookmark name. Hi! I’ve been searching for an answer to what I’d like to do in my Kindle book but I can’t find it yet! I figured out how to make a TOC with Google docs but what I’d like to do is make another set of hyperlinks that jump to various places in the book. I’m creating a guide to restaurants in a city, and there are two ways I want to organize the information, based on what people are looking for. It’s hard to explain. lol. Right now I have each Chapter being a neighbourhood. But I would also like to create a menu organized by the type of restaurant, with the names of the restaurants taking a person directly to the page with the information about it. How do I do this? Hi Whitney. Great question. I just did this with Google Documents and it works the same as with MS Word. If you have MS Word, you can highlight a part that comes later in the book on (for example) Luigi’s Pizza Bowl and give it a Bookmark by choosing Insert Bookmark and naming it LuigisPizzaBowl. Then go to the part in the book that comes earlier where you say, in a later chapter we’ll discuss an even better place for New York Pizza by the slice, and then Highlight those words, better place, and choose Insert-Hyperlink-then choose Place In This Document and select the Bookmark for LuigisPizzaBowl. First things first – a good easy to follow blog piece. Thank you for this. I’ve been looking for an answer to how to create a TOC and came across your site. If you could help a little for me, very much appreciated. I’ve tried various ways of creating a TOC but when I upload to the Kindle Previewer (which I downloaded from the KDP main page), I click Go To in the drop down menu, then Table of Contents, and it tells me I have no TOC, despite following your guidelines above (which work fine in the Word doc itself). I can only upload to the previewer as a Word doc converted to ‘Web Page, Filtered’ (as I gather is the suggested KDP format). Your post suggests that you upload as a Word doc though. So, whilst I can create a table of contents in Word by using headings, and the links to places in the document work fine, when I upload to previewer I can still navigate around by the links, but the TOC bookmark itself isn’t recognised. Any ideas to help? A final question, if I may: when I create a table of contents by highlighting the chapter title text, then ‘adding text’, my centre formatted chapter title on the actual body of text gets shifted to left justified. I’m keen to get a good look to the final work and this means centre formatted chapter headings. In the Kindle Previewer, if I manually scroll through the pages, the centre alignment is still there, but if I navigate to a chapter using the table of content links, the chapter title shifts to left justified. All very frustrating! Look forward to hearing and thoughts you may have on these questions. Sorry to hear you’re having issues and glad you asked for my opinion on this. #1. On the KDP Publishing main page, after uploading a document (Word or HTML Web Page filtered) an option to Preview it will appear. Most menu functions will not work properly there, so I recommend doing step #2 (which perhaps you did). #2. Download the Kindle Previewer from Amazon. http://www.amazon.com/gp/feature.html/?docId=1000765261 It will accept MOBI, EPUB, HTML and OPF files under the File tab to Open. I use 2epub.com to convert my Word Doc to MOBI and then open them on the Kindle Previewer. All of the hyperlinks and TOC elements and menu options work perfectly. The same is true for my books on people’s Kindles, even when directly uploading Word Doc files in the way I explained in the post. Jason – you are a star! Thank you for your prompt reply and also your advice, which has worked. What I hadn’t realised (maybe I missed the information somewhere, or the information wasn’t clear on KDP) was that Kindle content needs to be converted to a mobi file. I used the 2epub free conversion site, as you recommended, uploading my Word doc, and it works a treat! Even my other issue of centralised headings has been sorted out by converting the text in this way. Just in case anyone else reading here experiences the same problem as I did, I’ve been using the Kindle Previewer downloaded from Amazon (your #2 method above). I’ve spent many hours this week trying to work out how to do this. I should have just saved myself a lot of time trying to figure it out myself and done what I did today: asked for help via the search engine and find you. Joel, you’re the real star here. I’m going to update this post thanks to you pointing out where some confusion still existed. This post gets visited frequently via search engines, and your insight makes me wonder how many others didn’t get the answers they needed the first time. Your blog post here was helpful – it got me going to the point I’m at now. I wonder if you can help with one more issue I’ve just encountered. Just as someone earlier on this thread noted that they had difficulty with additional space after paragraphs, so do I. I’ve checked around the internet and tried pretty much everything suggested, but no good. When I convert to a mobi file and upload to 2epub, it’s all readable but the layout isn’t best. I’d like no blank line between each paragraph. I’ve tried various advice in formatting the Word doc, such as: checking ‘don’t add space between paragraphs of the same style’; adjusting before and after space to 0(zero)pt, and auto; formatting text as normal heading, and as ‘no spacings’ heading; replacing return pilcrow marks with [space] using Find and Replace; converting to Word 2003 in the styles menu. Nothing works. I’ve checked out the layout on one of your books and see that you don’t have this paragraph problem. How did you do that?! I’m not sure what we’re doing different because those items you listed are what I do too. I uncheck basically every Auto-formatting and Auto-correct option Word has, plus I have the Don’t Add a Space after paragraph checked for my entire document, and I make sure the line spacing is at 0 pts for lines after space. If you want, I’ll look at your document and see if I can see a difference. Send it to (my first name) @ the little universe (all one word) dot com. Although I’m out of the office for a day so give me a bit to get to it. Hi Jason – just sent you an email. Your offer of support is very much appreciated. If one were making sort of a “choose your own adventure” book or something else where you need to jump to another page in the book, how would you set that up? Hi Whitney. If you write in Word Doc, a hyperlink in your document can be created that doesn’t have to go to a website URL, but instead it can go to a Place In This Document. All you need to do is Insert a Bookmark where you want the adventurer to go from a set choice and then Insert a Hyperlink from that choice location and choose Place In This Document and select the Bookmark you already inserted. Test it, and it should work in Word, which will automatically work at retailers whether you upload in Word or HTML. I do it a lot in my How-To books for things like, “We’ll discuss this more in the Social Media Chapter,” and the words Social Media Chapter will be highlighted and hyperlinked to go directly to the bookmark for that chapter. That’s odd–the 2epub conversion of your MS Word doc is somehow deleting 5 chapters from your TOC list? That’s one I haven’t heard of. You may have some discrepancy in your MS Word doc. I’d go through it with a fine comb and look for any differences in those 5 chapters and the rest of the TOC, including things like hidden bookmarks. I put in all the bookmarks. There aren’t any special ones. Any bookmarks that come after the ones in chapter 9, just aren’t there. LOL… like I didn’t do them. I’ve never had that problem before. Of course it would happen while I’m working on a client’s project. LOL. Sounds odd. If it’s not a problem with the Word doc, you can try things like clearing your browser history, cookies, restarting your computer and seeing if that makes a difference. I’ve never had an issue with 2epub so I’m really not sure why it’s happening. I’ve never either. They’ve always been really good to work with. I sent in a ticket, so hopefully they’ll be able to tell me what’s going on. Just wanted to see if you knew of any such craziness happening before. Jesse, if you want to send me the document I can take a quick peek at it and see it anything jumps out. Email jason (symbol-at) the little universe (dot) (com). That’s okay. I had someone suggest I use Sigil to edit the epub version. It worked like a charm, even if the program looks very intimidating. I think the issue is fixed. What caused it? No, clue. I care that it works now, and I could edit the TOC and add the other missing pieces. April, I’ve noticed the Amazon Preview Mode can be fickle sometimes in that regard. If you’ve used the toc and start bookmarks correctly, they should be working. Do you have a Kindle or other e-reading device? You can always download the sample from Amazon and see if it works on your device, which is something I recently did to confirm the Preview Mode was having issues. You can also try downloading the sample in Kindle for PC on your computer or a Kindle app for a smart phone if you don’t have an e-reader. Let me know if that works. If it’s still not working, we may need to look at your document. I just can’t figure it out. I just can’t get these directions to work. When I click insert and choose Bookmark no “tab” opens up. I do get a bookmark that can be the target for any other spot on the document, but no tab to allow me to type in “toc”. I have a perfectly working table of contents but the kindle does not see it as a NCX. Everywhere I go everyone says “Use Microsoft Word”. I’m not going to – there MUST be another way. How would I add a TOC IN Kindle while I edit it? Trying to avoid doing it through Word, which means I’ll have to reformat my ebook all over again! Suggestions? It depends what program you’re working with to format your document. Programs like Word or Scrivener have one or more methods for creating TOCs with working links that jump to the proper chapter in the book when prompted. What are you working with?